The eight-day celebration of Hanukkah has finally arrived and we at My Olive Tree could not be more excited. We love these days of candle lighting and sweet treats. Yes, even the grown-ups around here… especially us! If you are unfamiliar with this celebration, it is an eight-day festival that celebrates the deliverance of the Jewish people from Greek rule during the 2nd century BC. Antiochus IV, tried to force the Jews to assimilate into Greek Culture—to the extent of prohibiting Jewish religious observance. Jews were not allowed to worship, to practice circumcision, and they were forced to adopt a Greek lifestyle. The story of the Maccabees is one of great bravery—where a family called Maccabee chose to revolt against tyranny. It took three years to defeat the armies of Antiochus—reclaiming Jerusalem in 164 BC. Following their victory, Jewish rebels entered the Holy Temple, only to discover that it had been completely vandalized. The Greeks had raised up idols, sacrificed pigs on the holy altar, and desecrated their place of worship in even greater ways. The Maccabees begin the arduous process of cleansing the Temple, preparing it for rededication. However, when it came time to light the Menorah, they realized that only one pure jar of Holy oil, bearing the seal of the High Priest, was still intact. By faith, the men chose to light the menorah, believing that God would provide until more Holy oil could be prepared—this would involve a miracle of miracles. Yet, their covenant-keeping God, Adonai, honored their diligence, and the oil lasted an unexpected eight days, until more Holy oil was properly prepared. This is the miracle of Hanukkah. This is why we light candles for eight nights, celebrating the faithfulness of our God. It is a time to remember and a time to rejoice. Last year, we shared a very special approach the lightening of each candle, and we wanted to share that with you again here. Although this does not represent the traditional view of the candle lightening ceremony, it does help born-again Believers understand the application of the Feast of Dedication (Hanukkah) to our own lives. In John 9:5, Jesus identifies Himself with Hanukkah as the Servant who brings the Light. 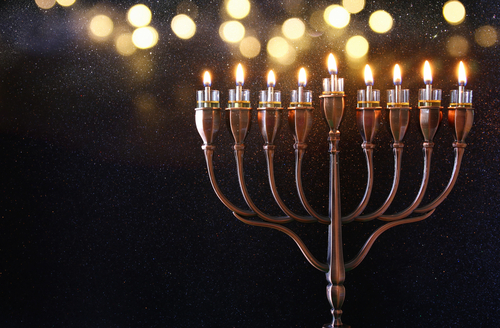 The center candle of the Hanukkiah (the nine branched menorah) is referred to as the “Shammas,” or “Servant” candle—the one candle that provides light for all eight. The first light of Hanukkah represents God, the Father. Through My Olive Tree sponsorships we are demonstrating the heart of the Father towards His children by helping immigrant families earn a reasonable living. Our groves are tended to and harvested by Israeli farmers, Thai immigrants, and Arab-Israelis. May the Spirit of the Lord breathe upon Israel! The fourth light of Hanukkah represents that God created. Through My Olive Tree we are being invited to participate in His creation. Our work generates the physical response of olive groves and has a positive impact on the agricultural economy in Israel. Each tree is planted for peace and stands tall fighting against the Boycott Divestments and Sanctions (BDS) movement. Plant an Olive Tree and be a part of HIS Creation! May God’s spiritual perfection, alignment, revelation and provision, be released in Israel! The seventh candle represents spiritual perfection, or completion. At My Olive Tree we do not simply plant olives trees and then leave. We provide irrigation and continued care to ensure that our trees not only survive, but thrive! Our trees and vines receive water and care from either farmers or soldiers. 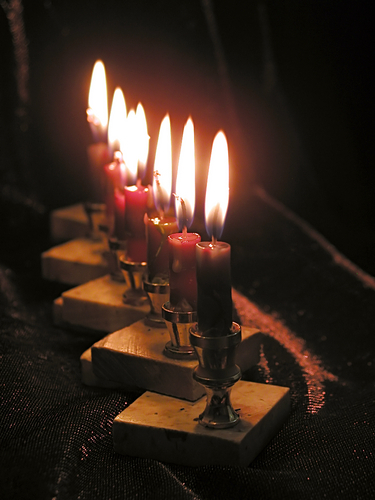 The eighth candle of Hanukkah represents the abundance of hope… a new beginning!